We believe in the importance of building lifelong relationships with our customers, which is why we never stop until you’re completely satisfied. In fact, we offer a 100% satisfaction guarantee on every project. 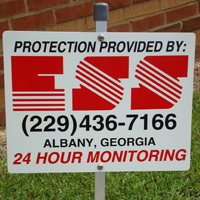 Additionally, we guarantee that our employees will show up in our company vans, wearing the ESS uniform, so you can trust that you’re dealing with our friendly staff.